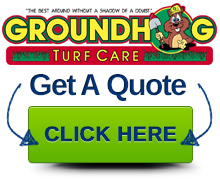 You are here Home " Should You Hire a Landscaper…or Do It Yourself? Spring is here–time to fix up your yard! From planting trees and shrubs, a new patio, and cleaning up your lawn, there’s no limit to the things that can be done to help your property become revitalized after the snow melts as the warm weather returns. You’ve called a landscape company to get a quote on a new project, but the thought of saving a little money (and your can-do attitude) make you wonder if it wouldn’t be easier to just do it yourself. Is it possible to landscape your own yard? For those inclined to take on a project by yourself, there are several benefits working in your favor. In this age of widely available information, you can find helpful resources on the Internet for pretty much any landscape project you can think of! From patio installations to plants, someone has done it before (and probably uploaded a YouTube video on it). In addition, buying landscape materials and being your own labor is a lot cheaper than hiring a landscape company to do it in the short term. But does it save you money in the long run? A botched landscaping project – like dead plants or a settling patio – can cost you hundreds, if not thousands of dollars in repair work, nullifying the money you saved and essentially wasting your valuable time. A landscape company with a good reputation stands behind its work, and you’ll have an enjoyable yard that’s guaranteed to look good for years to come. Not that it’s impossible to be your own landscaper – projects like leaf cleanups and mowing can be done by yourself, saving you some significant maintenance costs – however letting those folks with skilled construction experience build you landscape is always a wise choice. 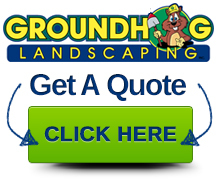 Groundhog Landscaping can save you money because we bring that knowledge, experience, and equipment to help plan out your project and get it done quickly. We guarantee that you’ll be satisfied with the quality of our work–and the job will be done right the first time. Give us a call, and you’ll be one step closer to a beautiful yard that you can enjoy all summer long!